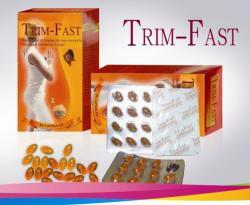 TRIM-FAST Slimming Soft Gel accelerates metabolism of fat and reduces the accumulation of the same. TRIM-FAST Slimming Soft Gel allows the elimination of free radicals in the body, accelerating metabolism of the skin, delaying the aging thereof. One of the ingredients of TRIM-FAST allows excess of free radicals produced in metabolic process, and a result is achieved restoring skin tension while maintaining the elasticity thereof, and reducing wrinkles. -. 100% Natural,free of all toxic and use safely. -. Prevents absorption of fat contained in food. 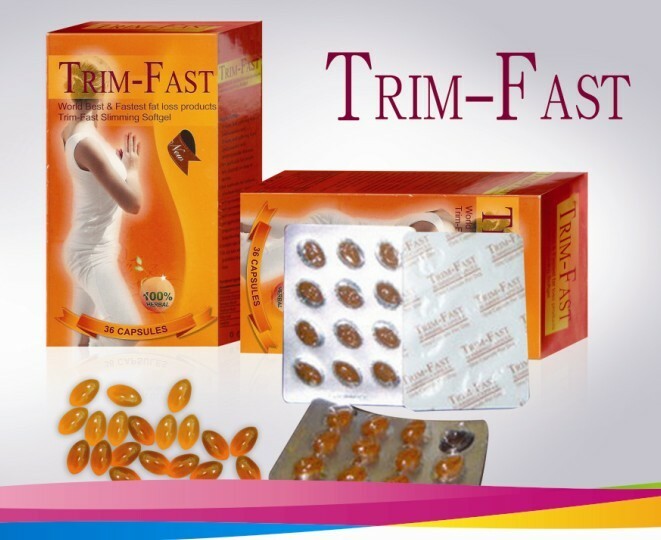 TRIM-FAST Slimming Soft Gel work fast and effective in double effect; The first and second reduce appetite burn calories and fat cells in the from that is fast in your body. 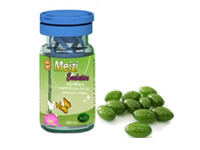 It accelerates metabolism of fat and reduces the accumulation of the fat. It allows the elimination of free radicals in the body, accelerating metabolism of the skin, delaying the aging thereof. In addition,One of the ingredients of TRIM-FAST allows excess of free radicals produced in metabolic process, and a result is achieved restoring skin tension while maintaining the elasticity thereof, and reducing wrinkles. Jobstears, Bamboo Shoot, Artemisia Dracunculus, Husk Pyllium, Lotus, Leat, Seed Fat, Gamboge Fruit, Apple, Kiwi Fruit, Konjac Extractive Powder, Sweet Potato Fiber. -. Take one capsule before or after breakfast. -. Drink plenty of water and eat fruit because due to accelerated metabolism of the body need water, otherwise, the levels of blood sugar can drop and this can cause weakness. -. While taking TRIM-FAST do not skip any meal. -. Pregnant women or nursing. -. Children under 18 or adults over 60 years. -. People with high blood pressure, arteriosclerosis, cardiovascular disorders and other chronic diseases. -. People with liver or kidney problems. -. People who are consuming prescription drugs. -. People dependent on drugs and alcohol. 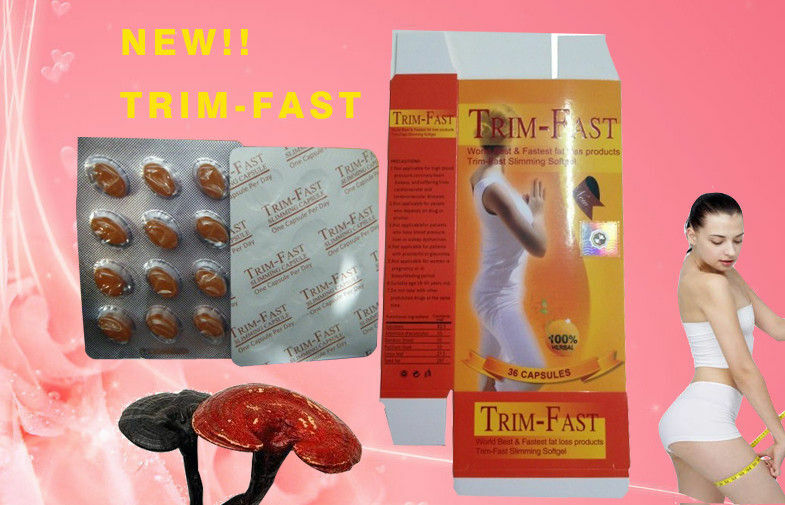 TRIM-FAST Slimming Soft Gel is a weight loss pills is 100% pure herbal without any side effects, and it can get an amazing result after taking. Why take TRIM-FAST Slimming Soft Gel? -. Because its components are 100% natural, so free of all toxic and can be used safely. -. It is very easy to take, just 1 per day. -. It is a gel capsule, soft, fast to absorb. -. Increase your metabolism by up to 18 times. -. Releases fat reserves in the most rebellious of the body. -. Start working from the first capsule. -. Reduce accumulated fat in the body. -. You can lose between 2 and 4 kilos a week. -. Slows the aging of the skin. -. There have been no cases of allergies. -. Provides fast and positive reactions. -. Does not cause diarrhea. -. You start to lose weight discarding the fat deposits that do not need in the body. The first time I started to use trim fast I thought that it wasn't working for me because I wasn't seeing fast results so I stopped. But two of my co-workers was using it the same time as I was and they were losing so I started it again but this time I was dieting and exercising. Nothing extreme just making healthier choices, eating less and about 30-45mins light-mild cardio exercises 3 - 4 times a week. By doing that I notices that the weight just started to melt away. Every week I lost about 2-3 pounds. 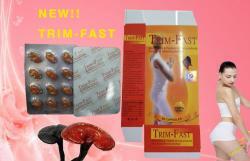 Then it occurred to me that trim fast is a "FAT BURNER"not really a weight lost pill. You can't just eat what ever you want and expect to lose weight. I mean you can but that would just take longer. 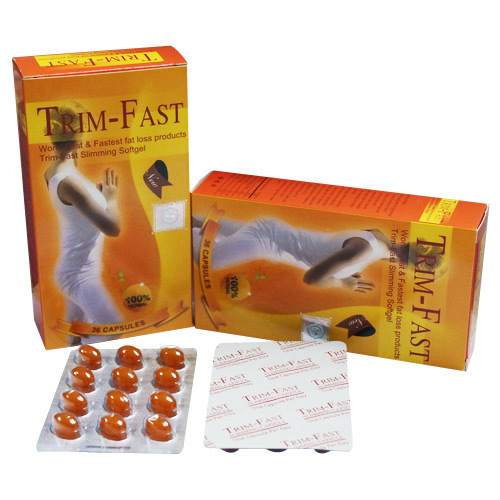 If you want to see fast results when using this pill you have to make changes with your diet and exercise regularly. That's just my opinion. This pill is great for those who want to make that lifestyle change of healthy eating or just eating less and exercising. While you do that the pill helps you to burn the fat faster and keeps it off. I've lost 23 lbs in 2 months. It works!